The Elevensies cocktail by Raven & Rose was inspired by the second breakfast tea time that is enjoyed by the Hobbits in Lord of the Rings. 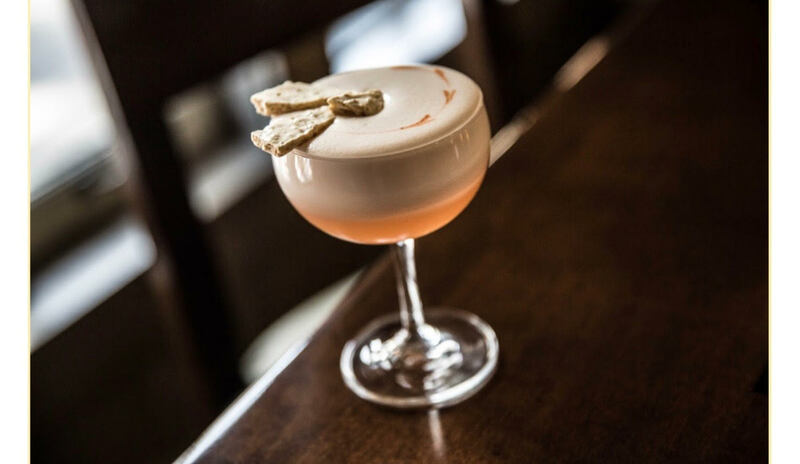 A Lady Gray tea-infused gin drink with a meringue topping. The Elevensies cocktail by Raven and Rose was inspired by the tea time that is enjoyed by the hobbits in Lord of the Rings. A Lady Gray tea-infused gin drink with a meringue topping. Combine all ingredients in a mixing tin and shake without ice for 20 seconds. Double strain into a chilled coupe glass and garnish with malt meringues. Brew a pot of Lady Grey tea. Once the tea has finished steeping, about four minutes, combine equal parts superfine sugar and tea and stir until in solution. Cover and refrigerate for up to two weeks.